You know how much I love posting daily free fiction links, but I've got free fiction to read, my wedding to arrange, my wife to murder and Guilder to frame for it; I'm swamped. • At Mad Scientist Journal: "The Front Line" by Sylvia Spruck Wrigley. Science Fiction. "Stand right up here with me and take a look around. This is the front line. No, that is not a euphemism. War’s not normally neat with straight lines and easy-to-understand strategies but here, we have a line. It’s that trench right there. Don’t get too close to the edge." • At The WiFiles: "The Creeping Complacency" by Jamie Lackey. Speculative Fiction. "Jeff laughed. Gwen hadn’t realized how much she’d missed that sound. He pressed a plate of French toast into her hands. 'Here, sleepyhead. Eat up while it’s still warm.'" • At Every Day Fiction: "Alien Alley" by JR Hume, read by Alexander Jones. Science Fiction. Audio. • At Every Day Fiction: "Cravings" by Todd Thorne. Science Fiction. • At 365 Tomorrows: "Dinner Bell" by Duncan Shields. Science Fiction. • At 365 Tomorrows: "Relayer" by Ian Hill. Science Fiction. • At Toasted Cake: "The Fez Shackle" by Dale Ivan Smith. Audio. Speculative Fiction. • At Cast of Wonders: "Episode 130: The Phobos Monolith" by Preston Dennett. YA Science Fiction. "True to her nature, Vasia ran without fear or caution across the Martian landscape. She leaped in huge graceful arcs that any dancer would envy. Naira did her best to keep up, but because of legs, and she quickly fell behind. How she wished she could rid herself of the cursed robo-walker that encased her legs so she could run like Vasia. Her sister’s body was strong and healthy. Naira, unfortunately, wasn’t as lucky. It was a miracle that their parents had even let them outside, considering how protective they were." • At Escape Pod: "EP456: To Waste" by Luke Pebler, read by Joshua Price. Science Fiction. "When the machine beeps, it has produced almost eight ounces of clean warm water. I sip some of it, just enough to wet my mouth, and put the rest into a second machine." 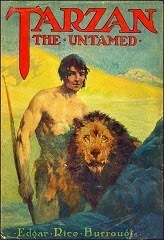 • At Fantastic Worlds of Edgar Rice Burroughs: "Episode 19 of Tarzan the Untamed" Adventure. "Chapter XIX – The Queen’s StoryBertha Kircher and lt. Smith-Oldwick have been captured and brought to the city of the maniacs – or so they act. The two have been separated – with Snith-Oldwick being led off while Bertha Kircher is escorted to another part of the palace." 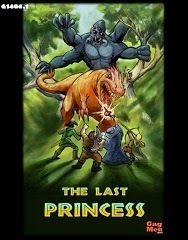 • At DriveThruRPG: "The Last Princess" by GagMen Productions. "Deep in the jungle lies the ruins of the ancient civilization of the Ditani, now overrun with arachno-apes and other jungle savages. Our heroes are hired by the great explorer Raeyon, the lady Ipeneth and their team to help them find and capture the legendary Gyanki’don, a massive arachno-ape rumored to protect the natives from harm." Basic Fantasy Rules compatible. • At DriveThruRPG:Be Awesome At Dungeon Design by Raging Swan Press. "Any GM can design a basic dungeon. A dedicated GM takes the extra time to craft exciting, logical and challenging dungeons that are so much more than a series of rooms stuffed full of monsters and treasure. 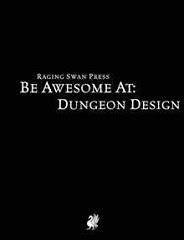 Be Awesome At Dungeon Design comprises eight dungeon design essays by ENnie Award winning designer Creighton Broadhurst. 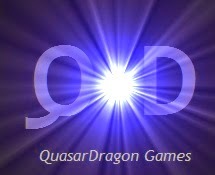 Handling such subjects as a dungeon’s purpose, design, ecology, dressing and physicality Be Awesome At Dungeon Design also includes essays on alternate dungeons and the principles of megadungeon design."